Can I make my Mac OS X Terminal color items according to syntax, like the Ubuntu terminal? I want it to have all the colors for syntax folders, etc... How can I do that? After installing SIMBL and the correct terminalcolors you can import my terminal theme from the Terminal Preferences window. Adding this to the file ~/.profile will make ls color it's output by default. 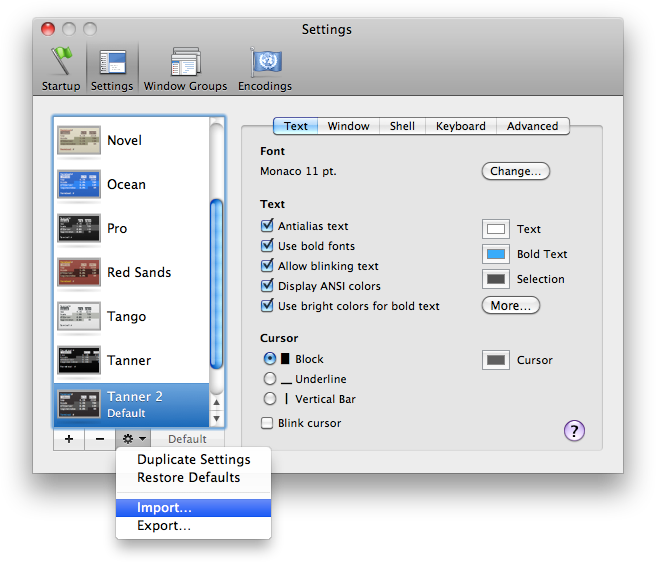 Adding this will define colors as variables to make a prompt easier to edit. Adding this will give you a multi-line colored prompt. The rest of the article has info on what the colors do and how to change them (the letters you assign to LSCOLORS is what controls what colors you see). 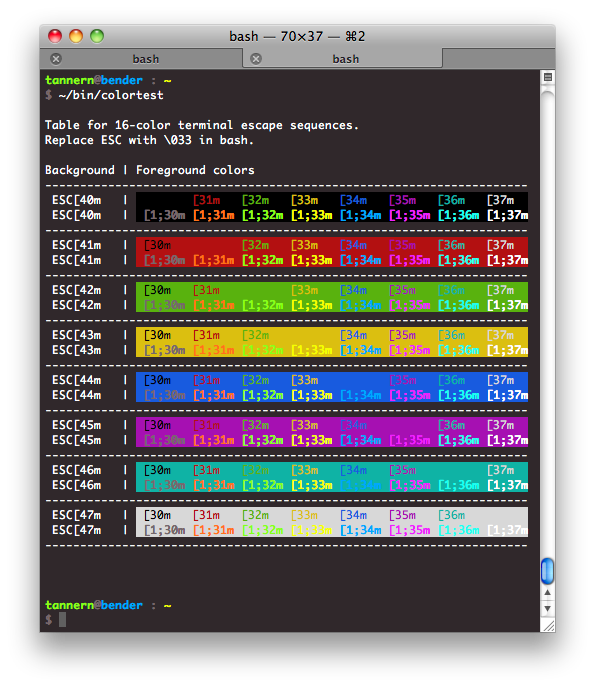 As of Mac OS X Lion 10.7, Terminal allows you to customize the sixteen ANSI colors and also supports the 256-color palette. So, installing SIMBL or other extensions to get more colors is no longer necessary. Not the answer you're looking for? Browse other questions tagged macos terminal switching . Can I customize ANSI colors in Terminal without extra tools like SIMBL? How can I enable syntax colouring in vim using Terminal? Is it possible to make the terminal background live? How do I get different colors for directories, etc. in iTerm2?